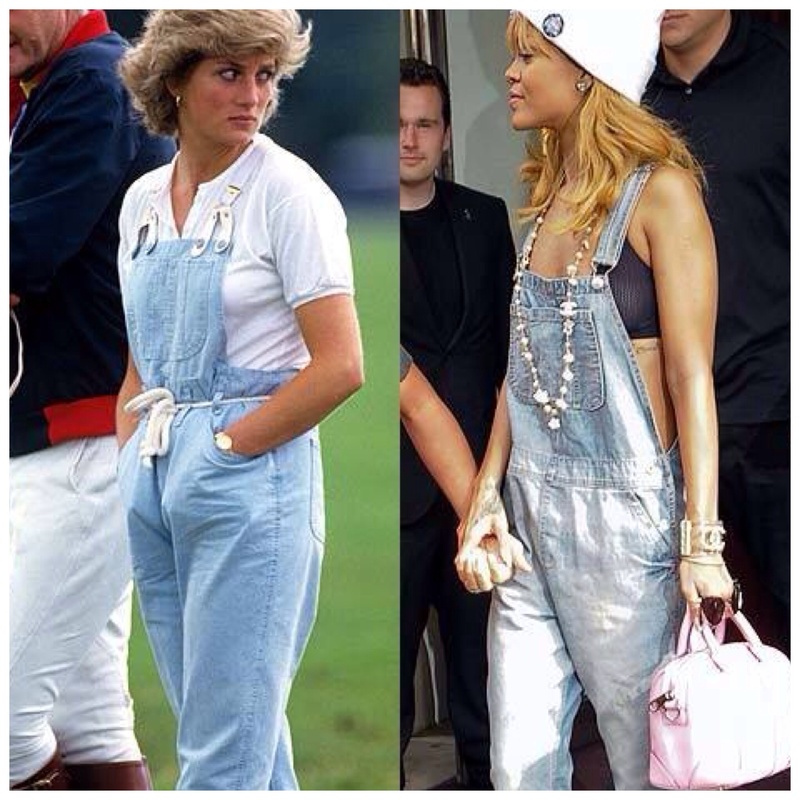 Am I too old to wear Dungarees? Its a tricky one, i'll give you that. Its all down to individual style. My theory is if you want to wear them then why not? 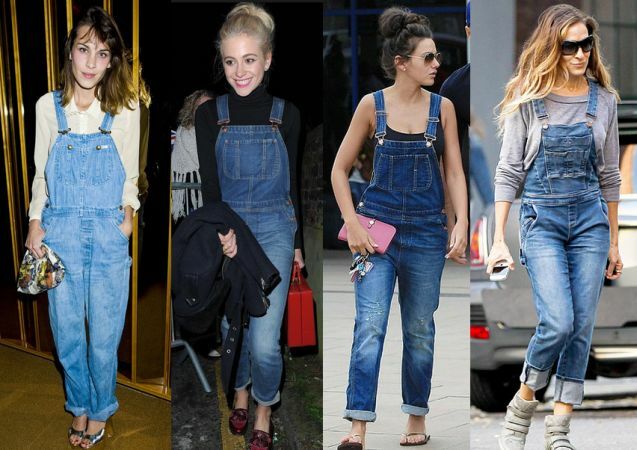 Everyone can wear dungarees, its a mindset! Many believe that Dungarees have an age limit assocaited to them, and are often linked to child connotations. Dungas' have been in my wardrobe for as long as I can remember. My favourite pair have to be my distressed boyfriend fit Calvins. Everyone who knows me from my 'aupairing' days in the US ( circa 1997) will recal that I lived in them. If only I could find the box that they are stored in in my garage. I am looking forward to our next moving day as I am hoping they will turn up. I know for a fact that I did not throw them. Who in their right mind would throw a pair of now vintage Calvin Klein dungarees? Can you recall when Princess Di wore hers? She was often seen out on many an occasion wearing different coloured ones. A big trend for Spring/Summer 18 is rolling back to the 80s. Its going to be shoulder pads galore, oversized blazers, ruffles ruffles and more ruffles and lots of double denim. Since the 80's there have been many celebs seen wearing them adorned with statement jewels, dressed up or down. 1994 saw Winona Ryder on the front cover of Rolling Stone wearing nothing but her overalls. Alexa Chung has long been an ambassador for this look appearing in vogue. Well there is a key to nailing this look. I would certainly avoid anything too tight, such as a skinny fit leg. They are meant to be lose fitting (IMO). Maybe also best steer clear of chewing a piece of straw and wearing muddy boots. Unless of course you have just come off the farm! Think about your body shape when chosing your pair. Are you unsure of your shape? See previous blog post. What body shape am I? Those of us with 'Apple' and 'Pear' shaped silouhettes try to avoid large pockets on your bum or thighs. This will just add definition where you want to avoid it. Having the adjustable straps is great as it allows you to be creative with the fit. Roll them up at the bottom to show a little peak of the ankle, if you are the daring type, team with a lace topped ankle sock. Dungarees can be worn casual or can just as ealsity be smartened up. My personal fave is worn with my Stan Smiths or Brogues with a fitted Tee underneath or this seasons victorian lace top with a fluted sleeve. Try adding a belt to cinch in the waist. The possibilities are endless. Big boobed ladies, I believe you can wear them just stick to one overall hue. Kylie Jenner got this so right. The dungaree can be worn in every season so why not invested in a great pair. In the warmer months team with a Slogan Tee, dare to wear with a cropped top or style with a peek a boo see thru mesh top, for the cooler months keep simple with a fine knit, a basic white shirt or a soft cashmere polo. I love the white shirt look underneath. So effortlessly chic. One thing I would suggest is stick to the safe colours - black, navy, distressed denim , white in the summer. Keep the dungarees simple, put all of the fun element in the tops, edgy accessories and a statement shoe. Olivia Palmero, SJP and Mollie King, have got look down pat.